Most Worshipful Brother Robert M. Wolfarth. Grand Master of Utah Masons 2017. 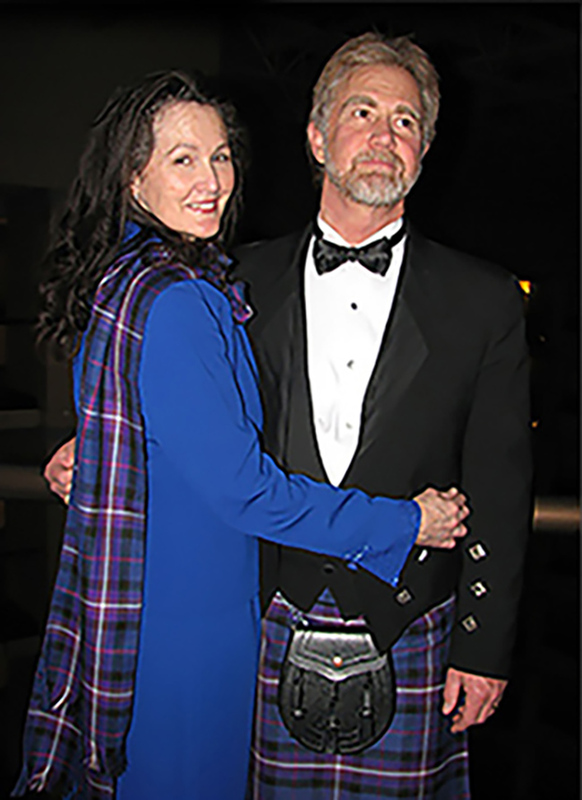 In 2004, The Grand Lodge of Utah sponsored the design and production of a Tartan fabric that would represent Freemasonry in Utah as well as elsewhere. Scottish Tartan plaids have been used for centuries by Scottish clans as a means of identifying and unifying families across the country. This tartan was designed with the family of Freemasonry in mind. Anne Carroll Gilmour, an internationally known weaver specializing in traditional Scottish Tartan weaving, designed the pattern and submitted it to the Scottish Tartans Authority in Perthshire, Scotland for registration. The pattern was deemed unique and the Registration Certificate issued. A mill near Edinburgh was then commissioned to weave the cloth in bulk. The colors in the cloth were carefully chosen to represent the various Masonic family organizations including but not limited to the Blue Lodge, Scottish Rite, York Rite, Shrine of North America, Job's Daughters International, DeMolay International, Order of the Eastern Star, Daughters of the Nile and et cetera. The main field of blue in a prominent pivotal position represents the dome of the universe as in Blue Lodge Masonry. The dominance of royal purple in the opposite pivotal field represents Scottish Rite Masonry, York Rite Masonry, Job's Daughters International and many other Masonic organizations. The prominent red cross carries with it much symbolism used throughout Masonry. You will also see represented the colors of the five points of the Eastern Star, red, white, blue, green and gold/yellow as well as related colors connected with the Social Order of the Beauceants, the White Shrine of Jerusalem, the Daughter's of the Nile and many others. As a Scottish family's unique tartan represents that family throughout the world, so too does the Freemason's Universal Tartan® represent the family of Freemasonry and its goals to make this world a better place to live in. 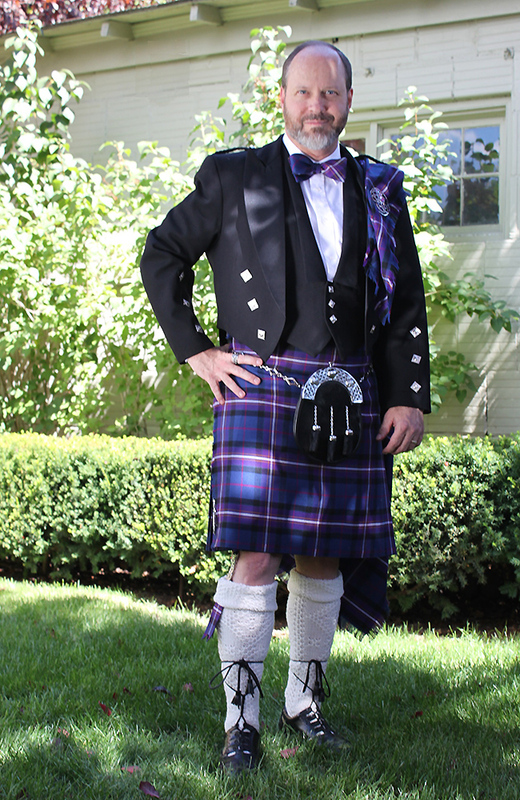 It takes 4 to 4.5 yds of W60 cloth to make a standard kilt. Postage is not included in the price. The sale of the Freemason's Universal Tartan® cloth and manufactured articles is an endeavor sponsored by Wildwest Woolies for the Grand Lodge of Utah. Proceeds after expenses will be donated directly to the Grand Lodge of Utah. The structure of this fundraiser is subject to review and/or change by the Grand Lodge of Utah and Wildwest Woolies. The Freemason's Universal Tartan® was designed and registered by Anne C. Gilmour using colors specifically chosen to represent Masonry and the concordant and appendant bodies related thereto. For specific information call the Grand Lodge of Utah at (801) 363-2936 or email secretary@utahgrandlodge.org.